The past few months, I’ve been working on a special project, which led me down the road of Moroccan cuisine and ended up at Meskouta. Meskouta is a traditional cake, usually made with yogurt (although I’ve seen a few recipes that did not use it). This is also known as “butterless cake” because it was created during the French/Spanish colonization in the early part of the 20th century, a period when butter was scarce and expensive. There are many variations, the most popular of which is an orange version, which also seemed to frequently be the one that did not have yogurt in it. I also found some recipes that used almond flour and others that did not. In the end, I took the elements that I wanted and created an entirely new version. Here it is. 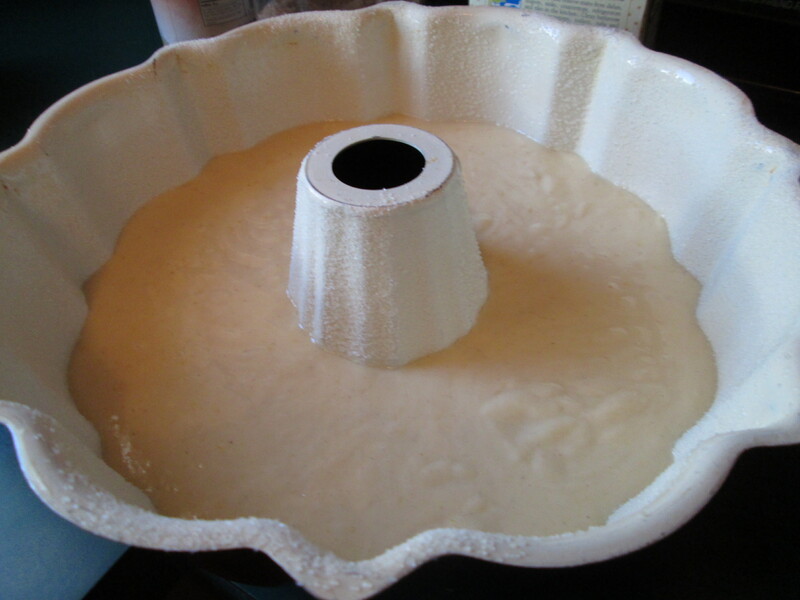 Grease an 8- or 9-inch Bundt pan and set aside. Preheat oven to 350 degrees F.
In a medium bowl, whisk together flour, almonds, baking powder, cardamom, and salt. 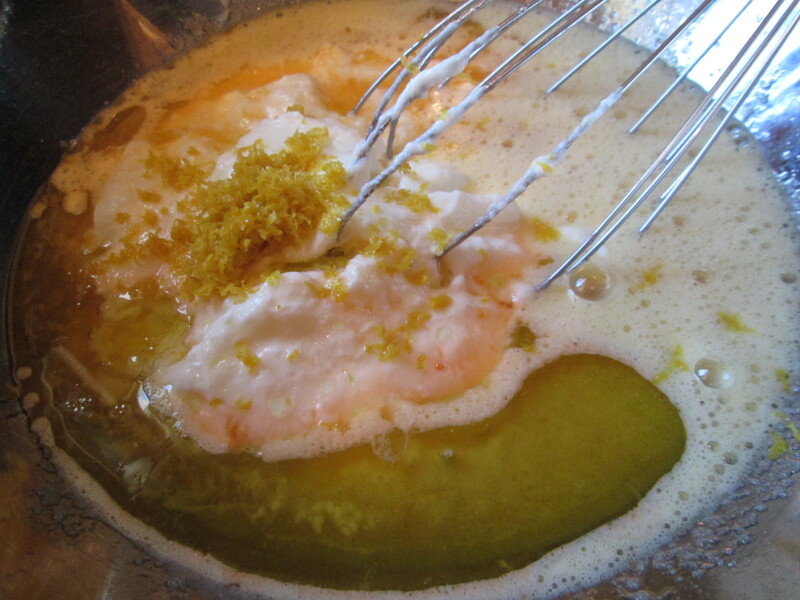 In a large bowl, whisk together eggs and sugar; add oil and yogurt, then add orange juice, blossom water or extract, and zest and blend. 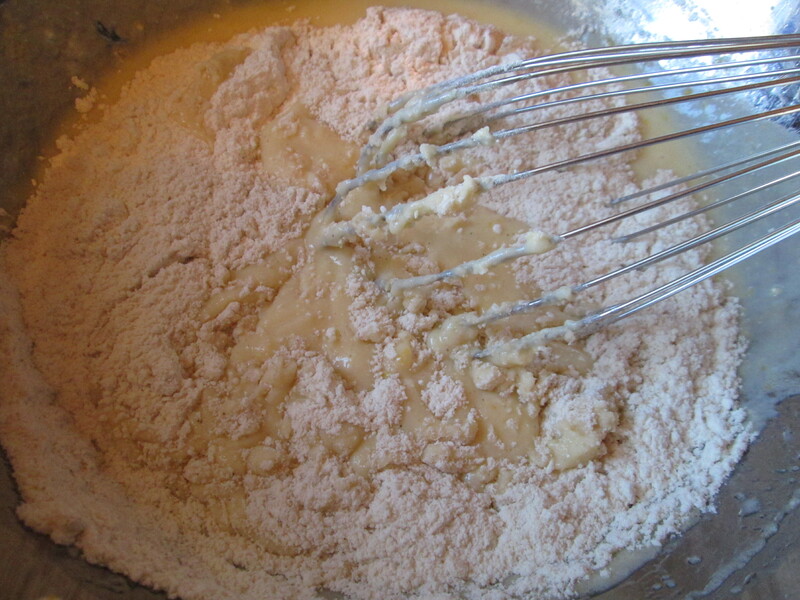 Add dry ingredients to wet and mix just until fully blended. Pour into Bundt pan and bake 45 to 60 minutes. A toothpick inserted into the center should come out clean. Remove from oven and let cool 5 minutes. Invert it onto a cooling rack and let cool completely. Meanwhile, make the syrup. Whisk together juice, cinnamon, and sugar in a small bowl. 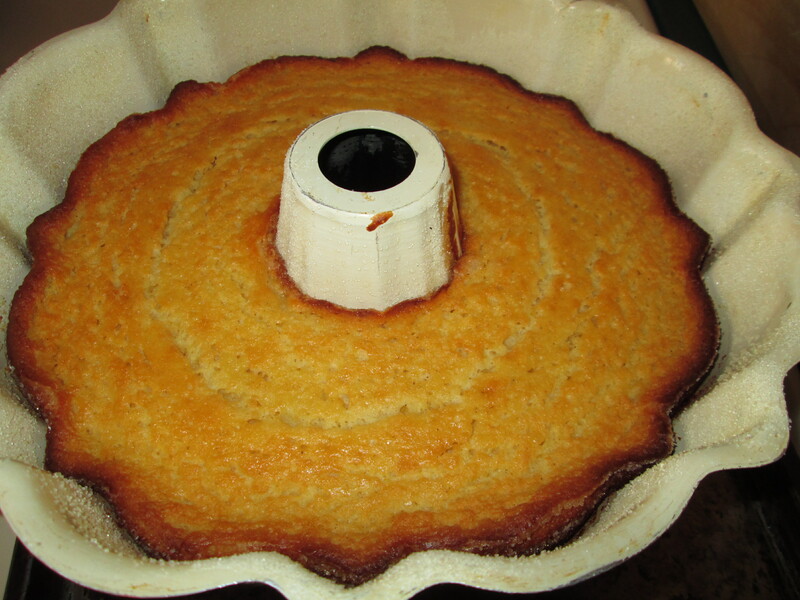 When cake is cooled, poke holes all over the top with a toothpick or skewer. 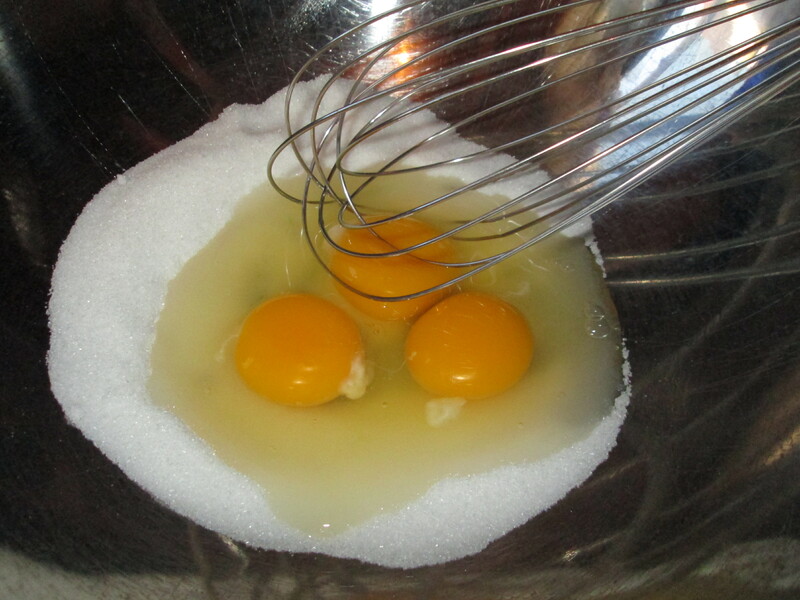 Pour syrup over the cake, letting it absorb. 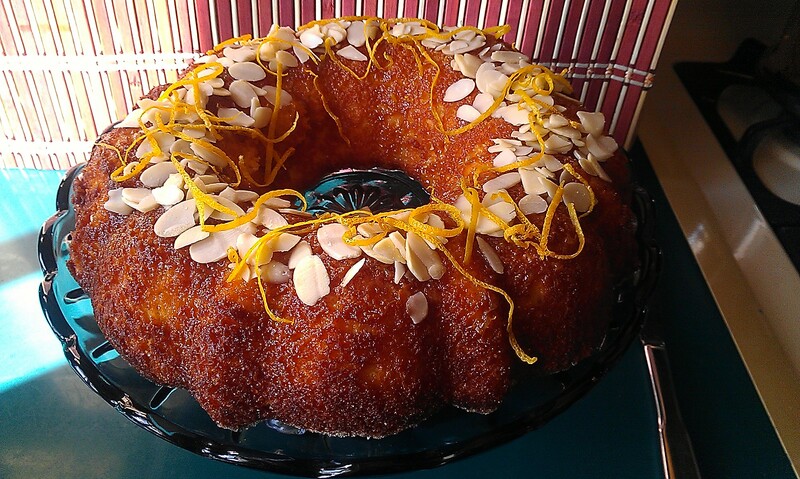 Sprinkle almond slivers over the top and decorate with orange slivers, if you like. 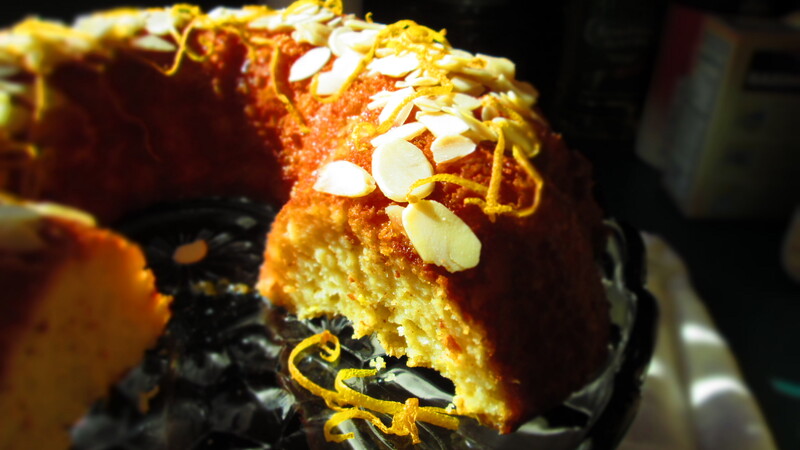 Categories: Cakes, Desserts, Ethnic Dishes, History of Food, Recipes, Uncategorized | Tags: almond cake, cake, meskouta, moroccan, orange cake, yogurt cake | Permalink.